Companies collecting data of the European Union (EU) citizens should comply with the new GDPR regulations by May 25, 2018! Businesses that gather the data of citizens of the countries that are a part of the European Union (EU) should comply with the stringent new regulations - EU GDPR. 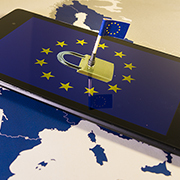 With a constant rise in the number of customer data breaches, the European government has come up with the EU General Data Protection Regulation (GDPR). New General Data Protection Regulation is an important regulation that businesses worldwide are expected to follow to safeguard the privacy and personal data of the EU citizens for all the transactions, which occur within the EU member states. As non-compliance with this regulation could result in penalties, here's what every European company that handles customer data needs to know about General Data Protection Regulation. One of the most frequent questions striking businesses is "what is GDPR?" GDPR is a regulation adopted by the European Parliament in the April of 2016 to replace outdated data protection directives from 1995. It requires the businesses to safeguard the confidential data of the EU citizens for all the transactions that take place within the EU member states. As the security standard of this rule is quite high, it requires the businesses to make huge investments to successfully implement and abide by its standards. Besides, GDPR is also aimed to regulate personal data exportation outside EU. Which Companies are Likely to Get Affected by GDPR? Who Will Be Responsible for GDPR Compliance Within the Company? GDPR requires a DPO to be designated to ensure GDPR compliance and data security strategy. So, the General Data Protection Regulation requires companies to appoint a DPO if they store or process huge amounts of special personal data of the European citizens. However, some of the public entities like law enforcement can be exempted from appointing a DPO. What Would be the Cost of a GDPR Preparation to a Company? Approximately 68% of the US-based companies are expected to invest somewhere between $1 million and $10 million to comply with the General Data Protection Regulation guidelines. However, another 9% are expected to invest over $10 million. What Happens When a Company Does Not Meet GDPR Requirements? GDPR imposes steep penalties when companies fail to abide by its guidelines. The fine could either be 4% of the global annual turnover of the firm or up to €20 million, whichever is higher. If an organization fails to comply with the General Data Protection Regulation guidelines by 25 May 2018, then the companies will have to bare the penalties for non-compliance. What Sort of Personal Data Will GDPR Safeguard? Are there Any Specific GDPR Requirements that Affect a Company? The GDPR requirements are expected to cause the US companies to modify the way in which they store, protect, process, or handle the personal data. For instance, the companies can process and store the personal data only until the individual's consent or till the purpose for processing the personal data is served. Besides, the personal data should be portable from one firm to another and the firms should erase it upon request. Another major challenge is that organizations should immediately report any sort of data breach to the supervisory authorities. Besides, the customers affected by the breach should also be informed within 72 hours of detecting the breach. Consequently, companies should provide a considerable level of personal data protection to the EU citizens. What Does a Successful GDPR Implementation Look Like? As most of the companies will already have a certain set of data security guidelines in place to protect the privacy and confidential data of their customers, keeping up with the General Data Protection Regulation guidelines should not be a major leap. Besides, involving privacy professionals or lawyers ensures that the guidelines are completely followed. There are numerous ways of implementing General Data Protection Regulation based on the type of the business and the tools that are there in place. Organizations can assess it and once the assessment is completed, they can define the steps to implement General Data Protection Regulation and document the same. Documenting how a company is planning to become compliant with the General Data Protection Regulation is extremely important and hence documentation will be the key. How Can a Company Get Prepared for Becoming GDPR Compliant? Abiding by the General Data Protection Regulation guidelines can prove to be a huge competitive advantage, as compliance will certainly boost the customers' confidence in your organization. In addition, the process and technical improvements necessary to comply with the GDPR will also contribute towards enhancing efficiencies in how businesses secure and manage confidential data. 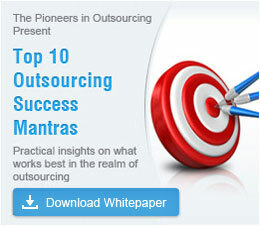 Get in touch with Outsource2india to know more.